Two very generous supporters have pledged $20,000 in matching funds to support our early education program. This is not a dollar for dollar match – it’s much more! Every dollar you donate will be matched three to one. We are grateful and hopeful that we can meet their Match! Early education is often taken for granted in the U.S.A. but not at Chacocente. Here our children and grandchildren are exposed to stimulating toys and books throughout their childhood. Most of the young children who enter Chacocente Christian School do not have toys or books at home. Often, they don’t know what to do with a toy when one is handed to them. Our goal is to stimulate, nurture and challenge our young students. Marisela, our pre-school teacher and Rubenia, our First Grade teacher, are licensed professionals who are devoted to building strong minds and bodies. Each day the students eat a healthy lunch with plenty of essential nutrients. They enjoy active playtimes, and participate in classes in computer, English, physical education, reading, writing and mathematics. Frequent parent/teacher meetings help parents learn how to support their children’s education. Our school psychologist works with students and/or families needing special attention. Help us meet this generous offer. Each dollar you donate will result in $3 for our little ones. Chacocente exists thanks to the support of many people. Through prayer and financial gifts, the hope of a better life is alive and well. 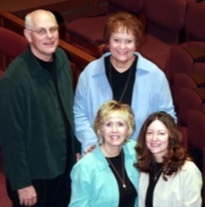 The LightReaders is a music and drama ministry of First UMC in Troy, Ohio. This group of retired educators travel throughout Ohio, presenting God’s word through drama and music for church services, groups, and nursing homes. Although they do not charge a fee, they do accept donations, which they donate locally and around the world. The LightReaders have been generous, long-time supporters of Project Chacocente. Group member, Susan Furlong, recently wrote: “Chacocente is a place close to our hearts. From the beginning of the Project, we have supported the families wanting to improve their lives and the lives of their children.” Members of the LightReaders have donated a keyboard, books and donations for the school, and two of them sponsor students at the Chacocente Christian School. We are honored that they have given generously since our beginning. Recently, they decided to sponsor the School Librarian and we are very grateful for their continued support! Have you ever wanted to see for this amazing ministry for yourself? Each year several teams from the United States volunteer at Chacocente. Church groups, colleges and families spend an average of one week working at the Project and getting to know the people. If you would like to join a team, please let us know. It’s a great way to meet Chacocente supporters from the U.S. and meet (or reacquaint with) the families, staff and students in Nicaragua. Many of the Chacocente children are choosing to continue their education after their high school graduation, ensuring a future that is full of hope. See below for more information. 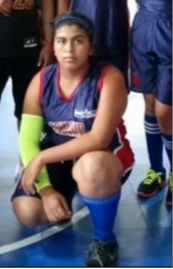 Congratulations to 10th Grader Ana Cristina who won 4th Place in the Hammer Throw in the Central American Games! She represented not only Chacocente Christian School, but all of Nicaragua. The school’s marching band, teachers and classmates celebrated her win.